A new public records room (Room No. 37) is now open in the basement of the Cuyahoga County Courthouse for searching court files. According to a press release from the Clerk of Courts, the remodeled space "includes public terminals to search the online docket and a copy machine and scanner for customer use. The renovated space will allow for greater usability by the public, improved customer service, and includes ADA accessible public terminals and work space." The docket includes civil, criminal, appellate and foreclosure cases. This new space was part of a reorganization in which more than 11,000 boxes of archived files were removed from the Courthouse hallways for later conversion to digital files or microfilm. 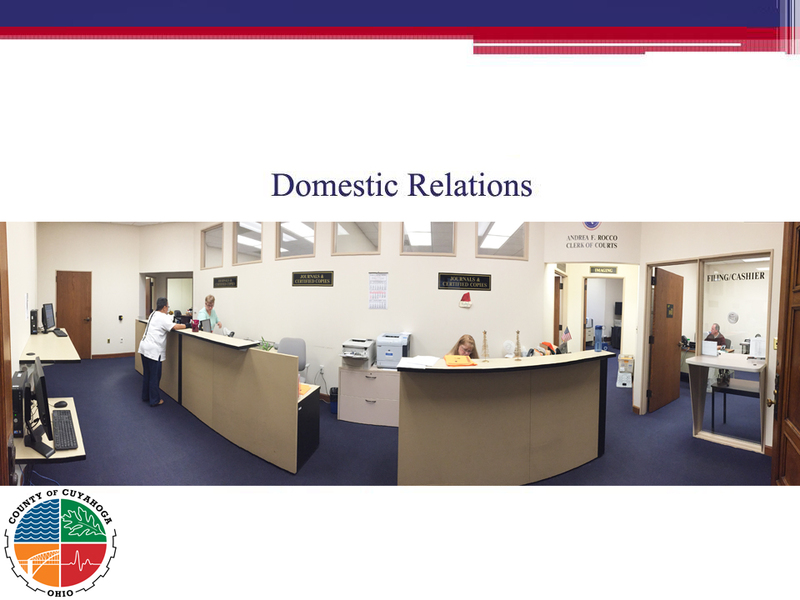 Other changes to the Courthouse include: a new Domestic Relations Division Office in Room No. 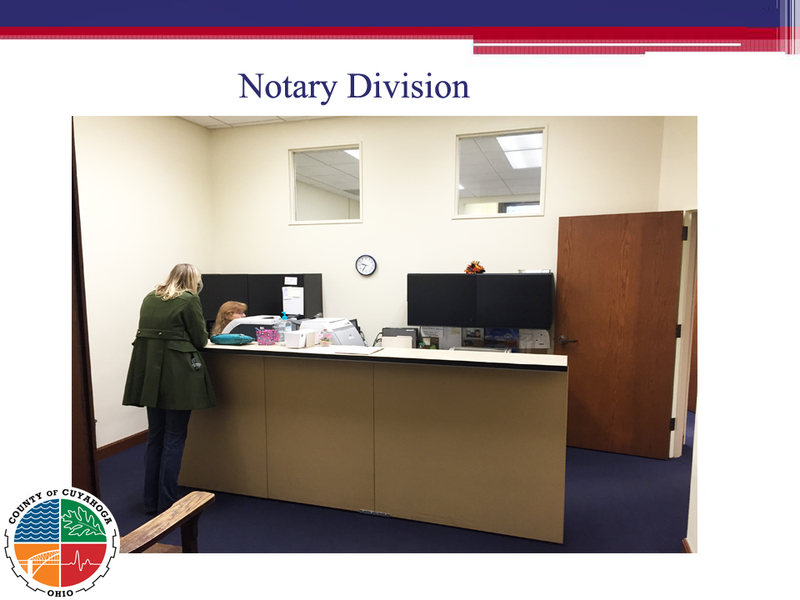 35; a new Notary Division in Room No. 34; removal of the civil Microfilm office to the 1st floor of the Justice Center. Even more moves are planned because the Certified Copy and Microfilm Departments in the Criminal Division are going to be moving to newly renovated space on the first floor of the Justice Center very soon. According to a post by the Wall Street Journal's blog, law firm profits rose in 2014, and they are expected to rise again in 2015 by 5%. Gains will come in transactional work, while litigation, which has traditionally been the money maker for law firms, will continue to be flat. A few more trends could include a lot of lateral moves and law firm usage of artificial intelligence (AI) tools, although the article suggests that AI will not replace lawyers. Documents received after 5 p.m. Eastern Time through the e-Filing Portal will not be considered for filing until the next business day. Documents with more than 300 pages must be submitted as multiple PDF documents instead of one large file. e-Filing is optional; however, attorneys who choose to file documents through the portal must register and set up an account. A complete version of the e-filing Rules are available on the Internet. Do you have too many passwords to effectively manage? Fox Van Allen's article "Dashlane & LastPass Let You Change Multiple Passwords with a Click" shows you two password management apps that can help you. You can read his article here. In this day and age, we use our smartphones for many different tasks, from online shopping to business applications. And because of this, you need to make sure your phone is locked down tight. To help us do this, Natasha Stokes' gives us some steps to take in her article "9 Steps to Making Your Smartphone Secure". You can read her article here. Tech Thursday: Happy Holidays, I Got Scammed! With the holiday season upon us, the scammers will be out in force. Is that online deal really that good? Techlicious' Dan O'Halloran lists three online shopping scams to be aware of in his article "Watch Out For These 3 Holiday Online Shopping Scams". You can read his article here. Cleveland Law Library Offering Employment Law CLE on Thursday, December 11, 2014 from 9-11:00 a.m.
As our Law Library's last CLE program of the year, we are offering a 2-hour CLE next Thursday, December 11, 2014 from 9-11:00 a.m. on Drafting and Litigating Employment Related Agreements. This program will feature a discussion of documents involved in hiring and firing, including employment offer letters, employment agreements, confidentiality agreements, non-competition agreements, invention agreements, disciplinary documentation, termination letters, and severance agreements. The speakers will also offer suggestions for drafting employment documents. Click here for the Registration form and additional information about pricing.